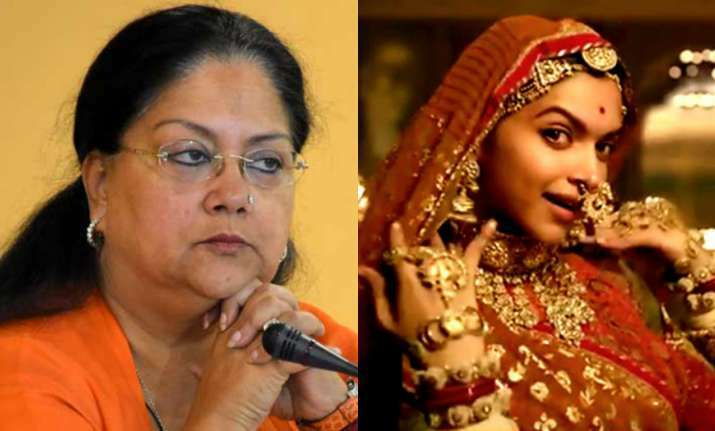 Jaipur, Nov 19: Amidst growing protest over Sanjay Leela Bhansali's upcoming movie "Padmavati", Rajasthan Chief Minister Vasundhara Raje on Saturday wrote to the Centre seeking "necessary changes" in the movie before its release, so that "sentiments of any community are not hurt". In a letter to Union Information and Broadcasting Minister Smriti Irani, the Chief Minister said: "A committee of eminent historians, film personalities and members from the aggrieved community should be formed, who would watch the film and discuss it in detail. "After that, necessary changes should be made to the movie so that the sentiments of any community are not affected." In the letter, she also requested that the Central Board of Film Certification should consider all possible outcomes and effects before certifying the film.